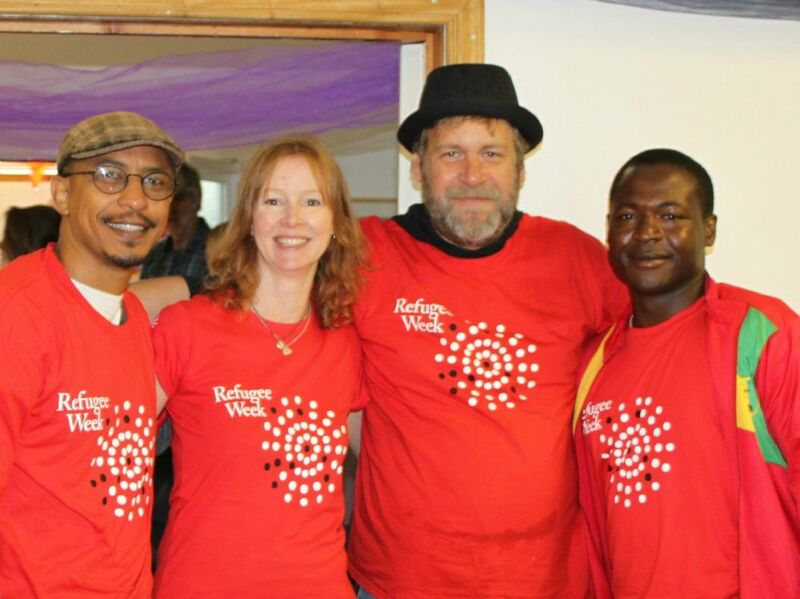 We aim to promote racial harmony between different ethnic groups to build a stronger and tolerant community in Plymouth, Devon and contribute in policy building across the South West and nationally. Our experience over the years tell us that to enable people to report abuses, discrimination and hate crimes, there has to be certain degree of trust for victims to come forward. Our work is to offer race awareness raising sessions, seminars and trainings to reduce wrong perceptions and help build the bridge between our beneficiaries and the reporting of racial and any racially motivated incidents and discrimination. We have a dedicated team of experienced volunteers to offer free racial awareness raising sessions, using practical example of people challenges in sport and in accessing public services. To book a speaker, send us a speaker inquiry form. We reject any form of discrimination and we strongly advocate on behalf of victims and work with wider communities to foster acceptance of difference. 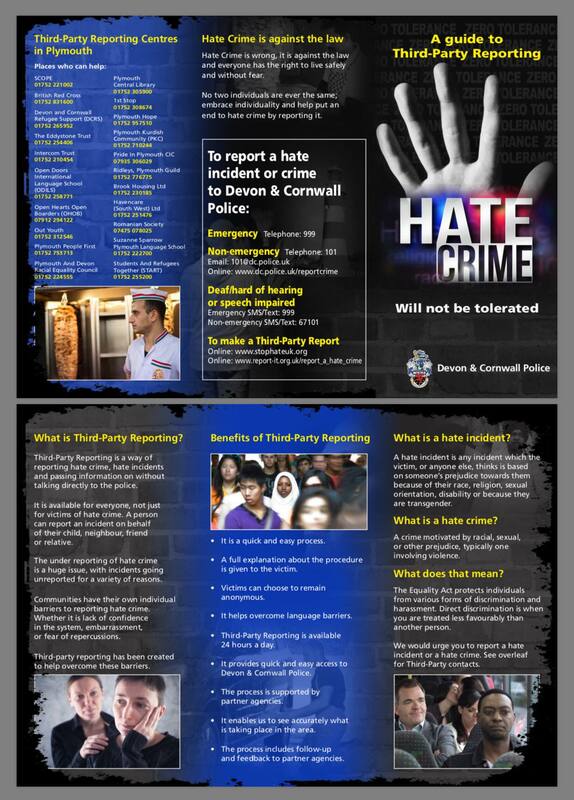 To report Hate Crime visit the Stop Hate Crime Poster.